The Economist has published its annual review of one of the most controversial indices, the Big Mac Index. According to it, the ruble is the most undervalued world currency against the US dollar. Since 1986, economists have been using a strange way to determine purchasing-power parity. Based on the value of the legendary hamburger of the largest fast-food restaurant chain in different countries, experts are trying to estimate the current exchange rate. 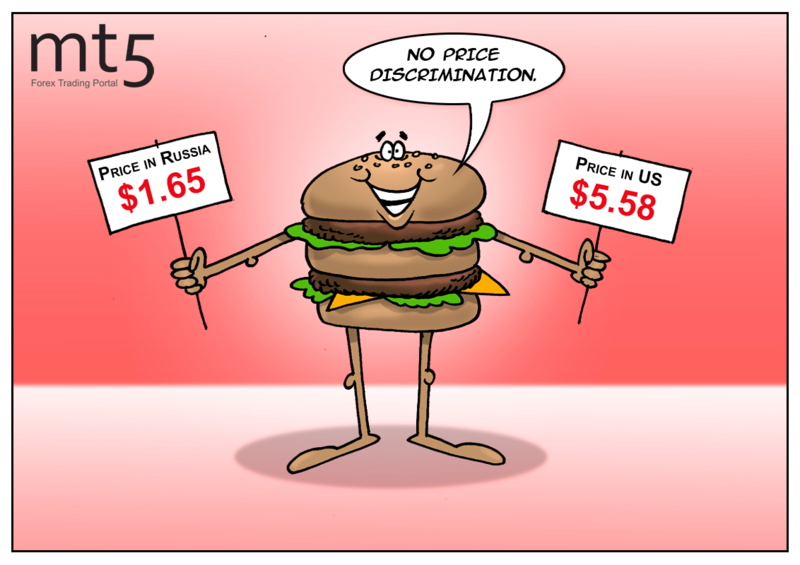 So, in Russia, a Big Mac costs $1.65, while it is $5.58 in the US. Therefore, according to the economists, the ruble is undervalued by 70 percent against the US dollar. Building on these calculations, we can assume that the real value of the dollar is slightly above 22 rubles. Such a significant gap demonstrates a disbalance in the exchange rates. At the same time, there are also currencies that are overestimated. In particular, in Switzerland, a hamburger costs almost $8, which implies that the Swiss franc is overvalued by 19 percent. But the owners of currency exchange offices, as well as the Russian Central Bank, do not take such arguments into account when setting exchange rates. The Economist claims that the index shapes the prospects perfectly: the undervalued currencies tend to strengthen on average over the next ten years, and vice versa. In addition to the Big Mac Index, there are also the Latte Index and the Ukrainian Borsch Index in the world, which is considered in two versions - with and without meat.